Every day I like to play a game called ‘how many times can I snooze my alarm?’. I rarely win, because I end up tearing through the flat trying to brush my hair and brush my teeth at the same time, before being out the door at half seven sharp. For desperately late situations, I can do makeup that leaves me presentable in 4 minutes, using just 4 products… I know. Two beautifully light products on the skin – the Too Faced Born This Way concealer under the eyes, blended in quickly on top of the Nars Velvet Matte Skin Tint. Love love love this stuff, it’s got such good coverage but it doesn’t feel heavy and it stays on my face all day when I’m at work. Nars just do base products so well. When they first launched their big brow bonanza, I was disinterested. I got a sample of the Benefit Gimme Brow though, and eventually got round to trying it. I have to say, I am really impressed. It gives a nice amount of definition to the brows but what I love most is how quick it is. Like, two swipes and you’re good to go. 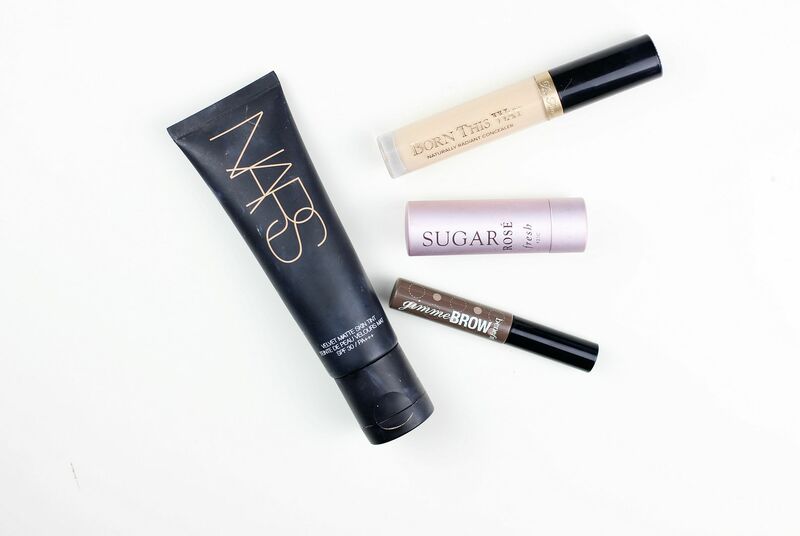 The perfect product for rushed mornings (that’ll be every morning, then). 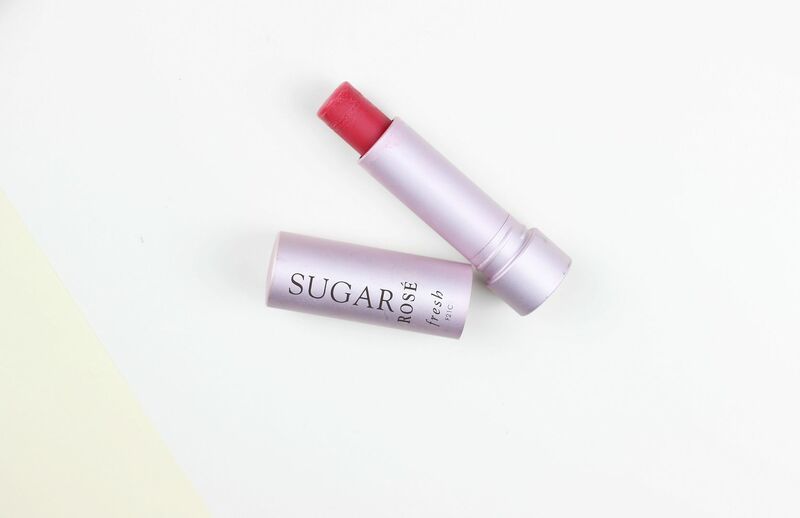 Finishing touch before I run out the door – the Fresh sugar lip treatment in Rose. You can apply it without a mirror so easily, but it gives a beautiful just-bitten flush to the lips. Everything Fresh tastes delicious as well – I need to try more of the skincare!